Rodger is a renowned North Carolina woodturner. He was born in Durham, NC in 1946. Rodger left NC and went to see the world shortly after graduating high school in 1965. It was while traveling that Jacobs discovered he felt most at home in art rooms or wood shops, creating. After being injured in a combat tour of Vietnam, Jacobs left the country to figure out what life was all about. 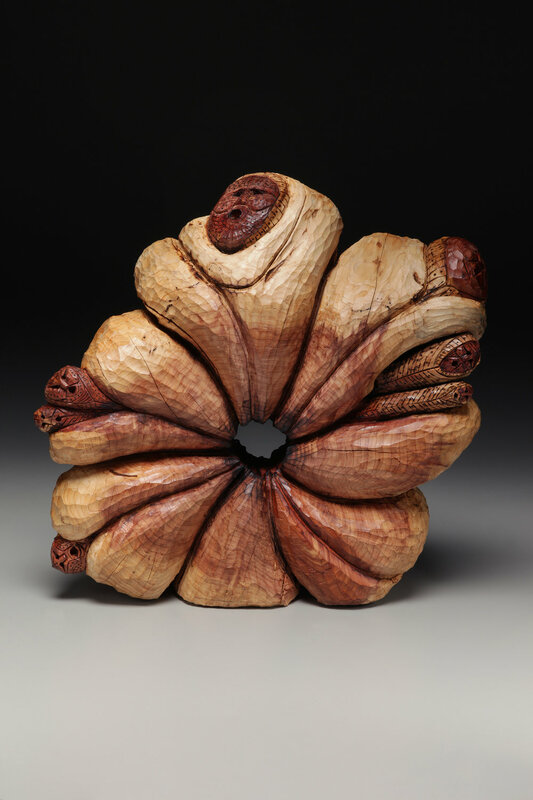 Rodger’s technique is derived from timeless uses of Asian, Middle Eastern, and Native American vessel makers. He believes in only using wood that is found locally and enjoys trekking through the woods looking for distressed, burled, spalted or other specimen trees. Rodger uses chain saws, log chains, peaveys, hand chisels and other carving tools to achieve the look of his work. Rodger feels he has reached his artistic goal when his work breathes by itself, when it radiates that certain aura that cannot be improved upon.